SEOUL, June 29, 2017 — LG Electronics (LG) has been selected by a premium German automaker to supply ADAS (Advanced Driver Assistance Systems) camera modules and related software for the company’s next generation vehicles. The LG-designed ADAS camera is capable of collecting traffic information to help drivers make better decisions and increase safety on the road. It can accurately recognize and respond to surrounding environments – even at busy intersections – using the camera. As a key component of an overall smart car system, the LG camera can detect objects from a distance and apply Autonomous Emergency Braking if a collision is imminent. The camera can also help keep the car in the lane with Lane Keeping Assist technology as well as at a safe distance from other vehicles. Traffic Sign Recognition and High Beam Assist are other advanced features of the LG ADAS camera. 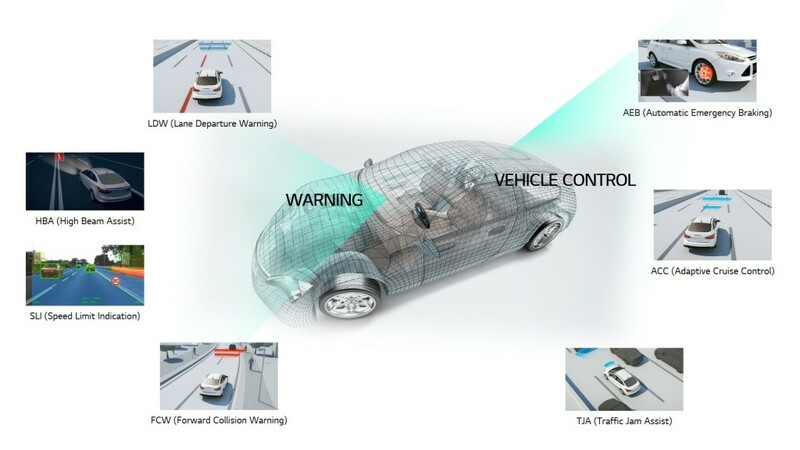 LG’s ADAS camera benefits from years of innovation and technological knowledge gleaned from the company’s leadership in mobile communications, image recognition and connectivity. LG announced earlier this year that artificial intelligence and deep learning technology will be a priority in the company’s strategy going forward.